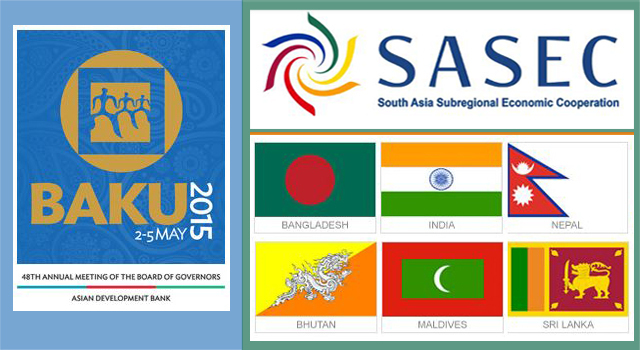 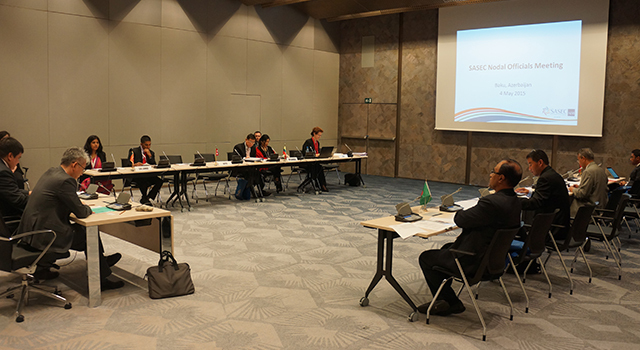 SASEC Nodal Officials representing Bangladesh, Bhutan, India, the Maldives, Nepal, and Sri Lanka met at the sidelines of the 48th Annual General Meeting of the Asian Development Bank in Baku, Azerbaijan on 4 May 2015 to discuss key achievements of the SASEC Program over the past 12 months and provide overall strategic guidance on future activities. 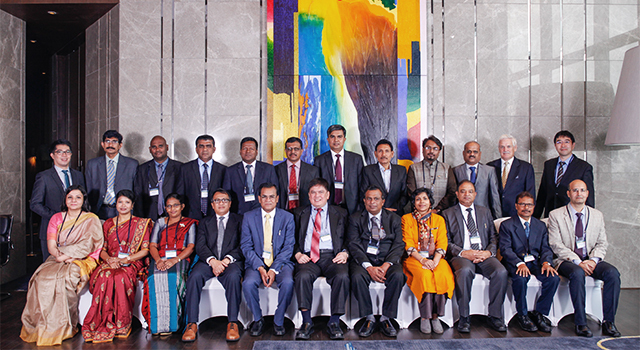 Delegates from the Maldives and Sri Lanka were welcomed to their first SASEC Nodal Officials’ Meeting after being admitted to the SASEC partnership as full members in May 2014. 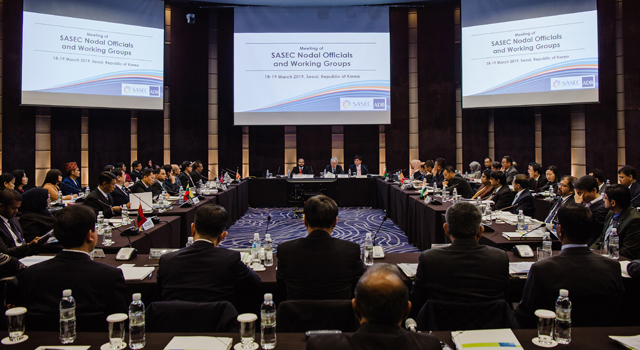 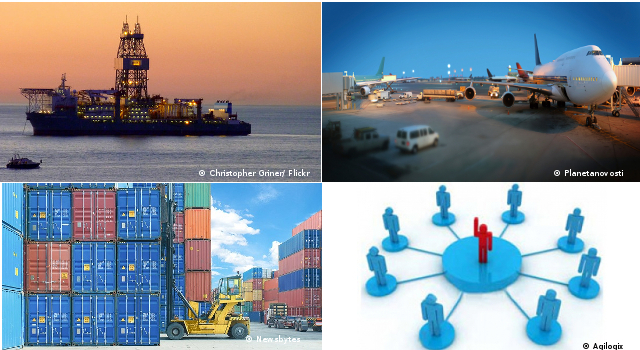 Progress of the SASEC Program in the areas of transport, trade facilitation, and energy were discussed, together with national and regional priorities of each SASEC member country in these areas. 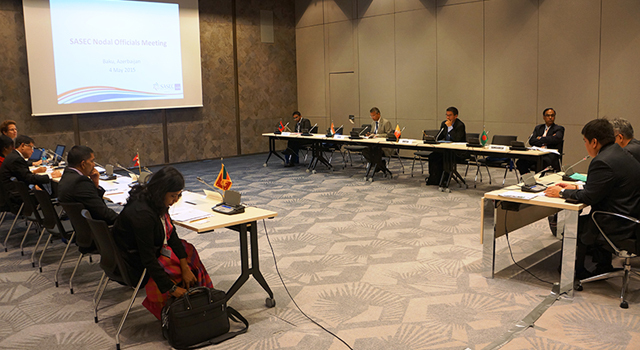 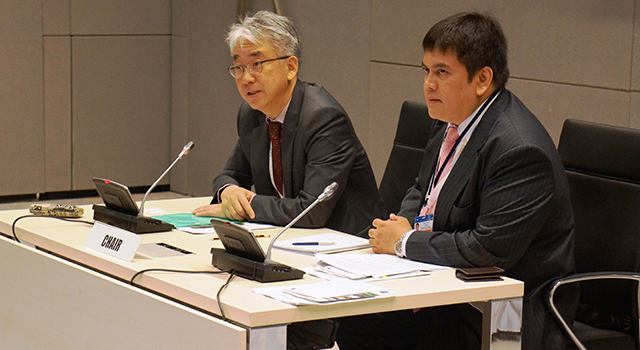 ADB’s readiness to serve as facilitator for the SASEC member countries to implement regional projects.